We raced at Lancing Manor Leisure Centre, North Lancing, and West Sussex for many years organised by VC Etoile. The course was generally liked but a big issue was that although the course opened out at the top of the hill where grassland allowed for plenty of course to be built it did straddle allotments that meant that there was only one trail up and then a long descent through woods to the finish, race HQ and the car park This meant there was some conflict with locals but nothing that couldn’t be sorted. I liked the course and it was here that we raced a few days after John Ibbotson passed away and we remembered him warmly that day. 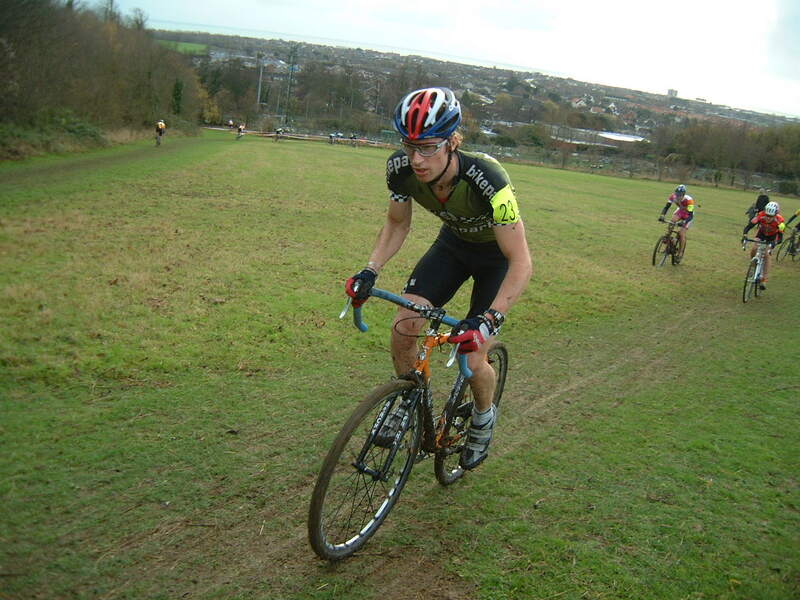 Steyne Park saw its last cyclo cross race in 2007 won by Alex Paton and the previous year by Steven Price, the latter also being the London and South East Champion in 2006. Brian Curtis: “Yes I seem to remember it was on the fast descent & we used to hit it pretty quickly, so only a clean hop (instead of tyre tapping like I do on some planks) was the only option over it”.